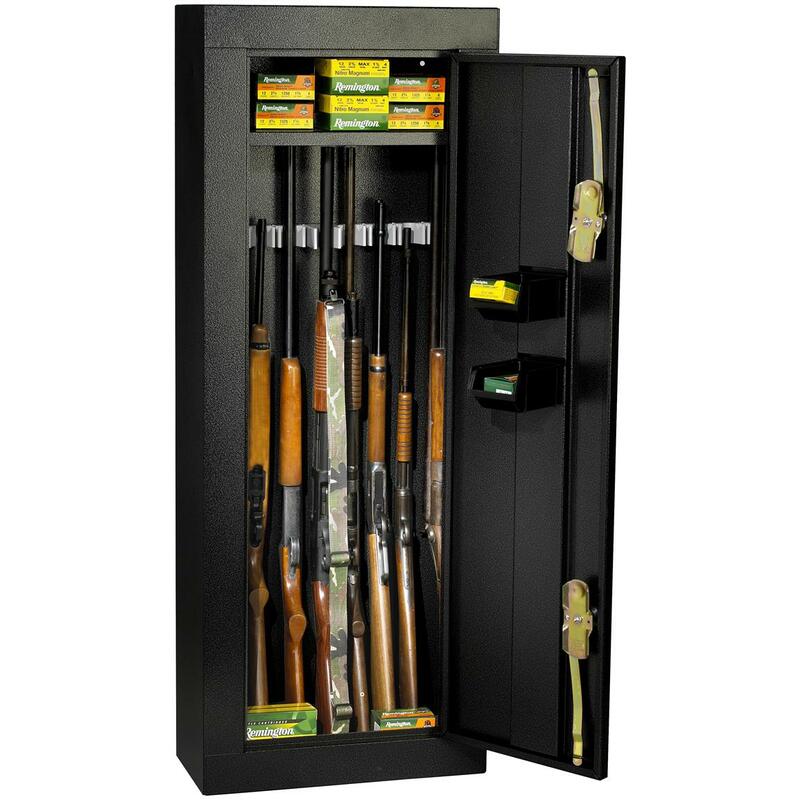 Homak® 8 - Gun Security Cabinet. Heavy metal protection for BIG peace of mind. Make sure only authorized trigger fingers get a hold of your heat. Heavy 1.2 mm steel, 4-point locking system and solid welded contraction join forces to forge an impenetrable firearm fortress for A-1 safety. Can be mounted to wall. 71 lbs. 21 x 10 x 57 1 / 4 "h.
State Color, as available in Shopping Cart. Order ONLINE Today! Homak 8 - Gun Security Cabinet is rated 5.0 out of 5 by 1. Rated 5 out of 5 by David from Great Cabinet, great value. 6.5 x 5.25 x 17.25" h., weighs 6 lbs. 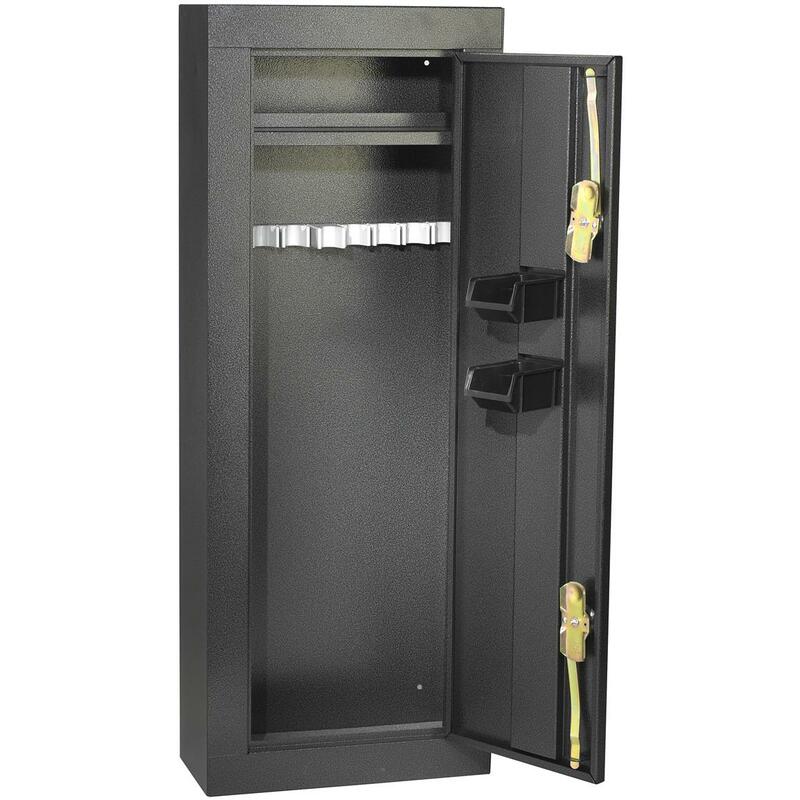 Keep your AR-15 mags organized.